This stunning Crystal Teddy Bear Figurine is a beautiful handmade and skilfully produced crystal ornament Made in Belgium. Fully Faceted crystal with centered red heart and frosted arms and legs.. The ideal christening or baptism gift. 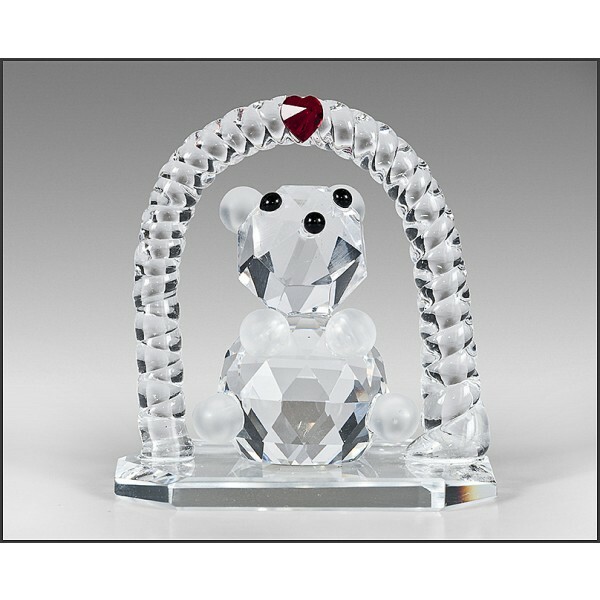 A stunning statement piece crafted in clear solid fully faceted crystal with frosted arms and legs and centered with a red heart is this beautiful teddy bear on swing ornament. A perfect gift as a home decor piece, Mothers Day present, Baby Birthday or a sparkling addition to your own crystal collection.